Only a week after Microsoft retired the "Nokia" name from the smartphone business it acquired earlier in the year, it has popped up again on the new Nokia N1 Android tablet. This is an Android 5.0 "Lollipop" device featuring a the minimal Nokia "Z Launcher" shell which allows applications to run by writing a letter or two on the screen. Z Launcher does more than that though, it can predict the applications by learning what is run most commonly and even recognises the location and time to help it predict with more accuracy. To a large extent, the N1 seems to be a platform to show off Z Launcher. It looks more like an Apple product than a Nokia one, but underneath the somewhat derivative exterior is a decently powerful unit with a 7.9" 2048 x 1536 pixel IPS display with Gorilla Glass, a 2.3GHz quad-core Intel Atom processor with 2GB of RAM, 32GB of non-expandable storage, an 8 megapixel primary camera plus a 5 megapixel secondary one. This is a WiFi-only device (perhaps so as to not complete with Microsoft) and it has a decent amount of features, making this is fairly high-end device overall. Inside is a 5300 mAh battery, and the whole unit measures 201 x 139 x 6.9mm and weights 318 grams which is a bit thinner and lighter than the iPad Mini 3. Available colours will be "Natural Aluminium" or "Lava Grey". 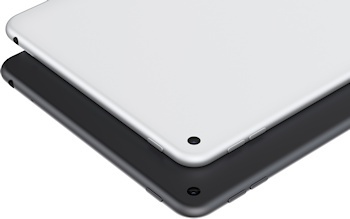 One novel feature that is worth mentioning is the reversible microUSB slot which should make life easier. Although it says "Nokia" on the back, this device is made by Foxconn who have partnered with most major manufacturers in the past, including Apple. The Foxconn connection might explain the very un-Nokia design, but it looks like the Nokia input is really in the software. This isn't Nokia's first tablet, last year there was the Lumia 2520 and before that were the smaller 770, N800 and N810 devices. But this is the new Nokia's first consumer device, and Nokia indicate that there will be more like this to come.. which should be interesting. 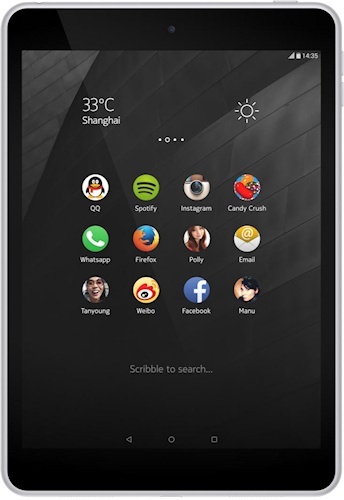 The Nokia N1 is heading for China first, arriving on sale during Q1 2015 for around $249 before tax. Other regions are expected to follow sometime after that, presumably if the tablet is a success.